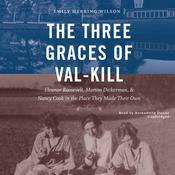 The Three Graces of Val-Kill changes the way we think about Eleanor Roosevelt. Emily Wilson examines what she calls the most formative period in Roosevelt’s life, from 1922 to 1936, when she cultivated an intimate friendship with Marion Dickerman and Nancy Cook, who helped her build a cottage on the Val-Kill Creek in Hyde Park on the Roosevelt family land. In the early years, the three women—the “three graces,” as Franklin Delano Roosevelt called them—were nearly inseparable and forged a female-centered community for each other, for family, and for New York’s progressive women. Examining this network of close female friends gives readers a more comprehensive picture of the Roosevelts and Eleanor’s burgeoning independence in the years that marked Franklin’s rise to power in politics. Wilson takes care to show all the nuances and complexities of the women’s relationship, which blended the political with the personal. Val-Kill was not only home to Eleanor Roosevelt but also a crucial part of how she became one of the most admired American political figures of the twentieth century. In Wilson’s telling, she emerges out of the shadows of monumental histories and documentaries as a woman in search of herself. The Three Graces of Val-Kill changes the way we think about Eleanor Roosevelt. 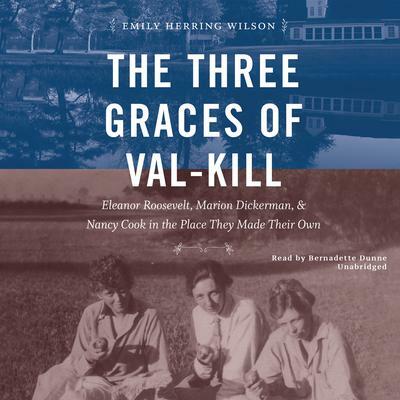 Emily Wilson examines what she calls the most formative period in Roosevelt’s life, from 1922 to 1936, when she cultivated an intimate friendship with Marion Dickerman and Nancy Cook, who helped her build a cottage on the Val-Kill Creek in Hyde Park on the Roosevelt family land. In the early years, the three women—the “three graces,” as Franklin Delano Roosevelt called them—were nearly inseparable and forged a female-centered community for each other, for family, and for New York’s progressive women. Examining this network of close female friends gives readers a more comprehensive picture of the Roosevelts and Eleanor’s burgeoning independence in the years that marked Franklin’s rise to power in politics. Wilson takes care to show all the nuances and complexities of the women’s relationship, which blended the political with the personal. Val-Kill was not only home to Eleanor Roosevelt but also a crucial part of how she became one of the most admired American political figures of the twentieth century. In Wilson’s telling, she emerges out of the shadows of monumental histories and documentaries as a woman in search of herself. Emily Herring Wilson is a writer and teacher in Winston-Salem, North Carolina, and the recipient of the North Carolina Award for Literature and the John Tyler Caldwell Award.